On this international and national day of mobilization in support for workers at Lonmin plcs Marikana mine, member organisations from the Global Campaign to Dismantle Corporate Power and Stop Impunity express solidarity with the Marikana Solidarity Committee, the Lonmin plc mineworkers and the Marikana Community. Campaign members strongly condemn the massacre of Lonmin plc mineworkers and the continued efforts by South African authorities and Lonmin plc to break ongoing labour action at the mine. We support the demands by South African mineworkers to increase wages and improve living conditions. • All mineworkers to be released unconditionally & compensated for wrongful arrest and full compensation for the families of the massacred and the injured. • We want all the names of the dead, injured, missing and the arrested. • Arrest the Lonmin bosses and all mining bosses who have been stealing through transfer pricing; return all assets stolen by the mine bosses! • Nationalise the mines under workers’ control! 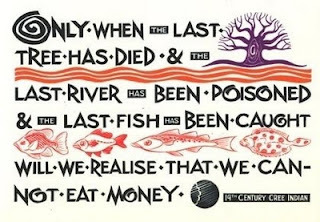 The Global Campaign to Dismantle Corporate Power and Stop Impunity was launched in June 2012 in order to unite the hundreds of struggles, campaigns, networks, movements and organizations that are combating transnational corporations and their impact on workers’ rights, the environment and life itself in every corner of the planet. The campaign believes that corporations are responsible for the ongoing repression and criminalization of social struggles and for the indecent economic, social and environmental conditions the majority of the world’s population lives in. It is time, in South Africa and around the world, that we say ENOUGH to the system of power and impunity that has been created by corporations in collaboration with morally corrupt governments and institutions. No more Marikana’s, stop the impunity!